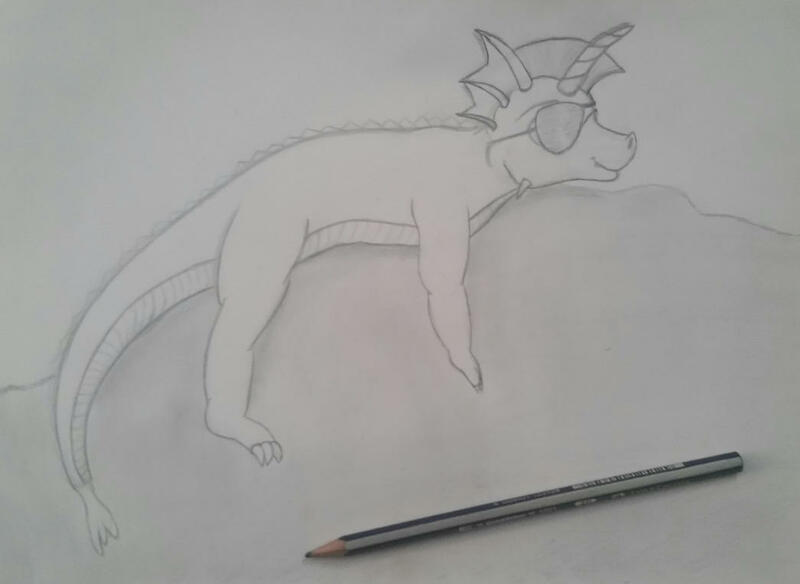 I also did another quick sketch of Rezzy getting some sun. Our DM thought it would be funny to take my already small dragon and make her tiny, so this sketch was draw to scale. Last edited by Blastradius on Thu Mar 09, 2017 10:25 am, edited 1 time in total. David wrote: Double shields! That's twice the protection! To bad AC bonus doesn't stack, she could make it over 40, she's sitting at AC 37 right now.